Over the last 7 days, the Greater New York Red Cross provided emergency assistance to 63 adults and 32 children following 33 local disasters. Here are some highlights from last week and a preview of upcoming events (see below). 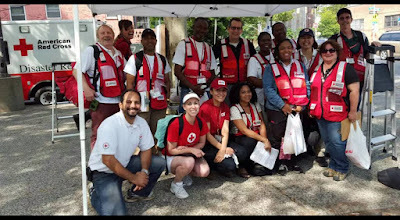 Over the weekend, Red Cross volunteers were out in force throughout various neighborhoods in Brooklyn teaching home fire safety to residents in over 150 homes and installing over 500 life-saving smoke detectors. Early Sunday morning, after a 2-alarm fire on Knowles Street in Yonkers displaced four families, the Red Cross was able to provide emergency housing, financial assistance and referrals to community agencies to all four families. With summer in full-swing, the Red Cross has been to Chappaqua Day Camp and the Staten Island JCC Summer Camp to teach emergency preparedness to kids with the fun Pillowcase Project program. On Tuesday, GNY Regional Director of Community Relations, Alex Lutz, represented the Red Cross at a Coastal Storm Planning Conference for Rockaway (Queens) to discuss future storm preparedness, response and recovery post-Sandy with NYC OEM, and over 30 community and civic leaders. July 13: The Town of Hempstead is holding a fundraising Swim-A-Cross event in Bellmore, N.Y.
July 14-15: Disaster Cycle Services is holding its summer All-Hands Meeting throughout the GNY region chapters over the course of three days. Red Cross volunteers should check their emails to RSVP. July 15, 17: Red Cross blood drives; 1 to 7pm; 520 West 49th Street, Manhattan. Schedule an appointment to donate today. 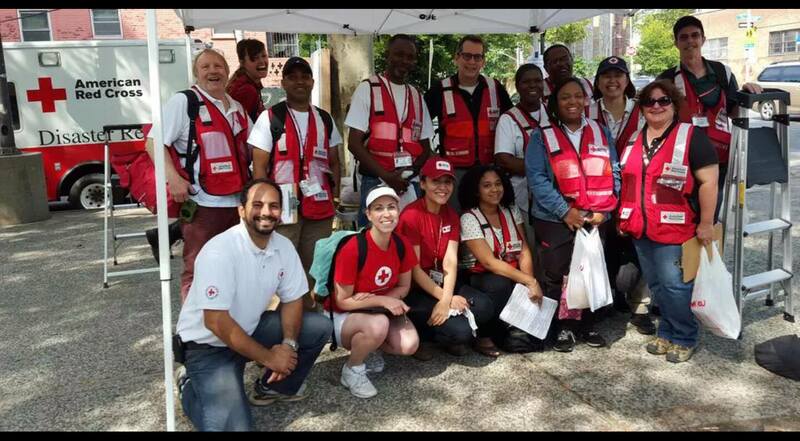 June 18: Volunteers will be canvassing neighborhoods in Westchester and Long Island to teach fire safety and install free smoke alarms as part of the Home Fire Preparedness Campaign. If you are interested in a full-time leadership position to help prevent home fires in New York City, check out the following listings: Regional Individual and Community Preparedness Manager, Operations Manager, Manager, Information & Planning, Lead Specialists for Brooklyn Operations and Bronx Operations.